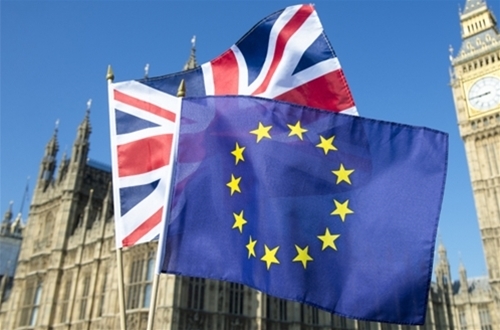 Catering equipment sector businesses are continuing to cope with how Britain's impending exit from the EU will impact their bottom line, and there are now several indications that the country's economy is bouncing back from the record plunge that occurred in July in the immediate aftermath of the Brexit vote. According to the most recent Market/Cips report, virtually all the economic ground that was lost in July was made up in August. The Market/Cips report found the largest joint monthly increase in industrial performance in the 25-year history of the purchasing manager's index or PMI, leaving it at its highest level since October of 2015. Director of Blackpool commercial kitchen equipment firm CKS Diane Moden told The One Show's Matt Baker that Brexit has not damaged her firm's financial bottom line. "My confidence in the Pound is so much that even if we put it in a blender it's going to come out exactly the same, all untouched, all worth exactly the same as before," Moden told Baker. Diane Cheatham, CKS' other director, agreed, telling Baker that: "There are certain of the manufacturers and certain of the distributors that are really quite upbeat and I'd certainly like to put ourselves in that category." What can account for the economic rebound? Like other manufacturers, the catering equipment sector has been helped by the fall in the value of the Pound, which has made British goods more competitive in today's global marketplace. A word of caution is necessary, however. Manufacturing accounts for only one-tenth of the total ouput of the economy and uncertainty abounds over what exactly the UK's relationship with the EU will be like in the months and years that lie ahead. The swift selection of Theresa May as PM and the stimulus pushed out by the Bank of England have also combined to make the catering equipment sector feel positive about the future in the wake of Brexit. It is also important to note that predictions made in advance of the Brexit vote that the British economy would immediately fall into a recession if the country opted out of the EU also proved false. Those who forecast'd that an immediate economic recession now say the referendum's impact will be felt over a longer period of time. In a recent article, David Brookes, tax partner at accountancy and business advisory firm BDO LLP, explored the tax implications that leaving the EU would have on the catering equipment sector and other UK businesses. According to Brookes, the vote for Brexit may increase economic volatility in both the currency and stock markets, which could lead to an Emergency Budget that is designed to calm those monetary jitters. Brookes also pointed out that how difficult the catering equipment sector finds it to do business with EU countries will be based upon the final terms that are negotiated for the Brexit, which may not be known for several years. And that could cause a drag on the economy as both buyers and sellers take a wait and see approach to either investing or making a major purchasing decision. Brookes said that those in the catering equipment sector that remain adaptable to change and engaged in what's happening will be in the best position to benefit economically from Brexit. And, he warned that there are several tax implications that the catering equipment sector and all UK businesses will face when Brexit is accomplished. When the UK formally exits the EU, it will also cease to be a part of the EU's Custom Union. Brookes said that will mean that the EU's customs duties will only apply to goods being imported to EU member nations by the UK. He also noted that the UK could extend its customs duty tarriff to goods imported from the EU. With that in mind, Brookes said members of the catering equipment sector will have to decide if their EU sales are high enough to make the outsourcing of manufacturing and operations to an EU site economically viable. Brookes also said that the sales of goods both to and from the UK may not be able to utilise the EU's acquisition and dispatch network, which is a part of the VAT form. Upon a Brexit, UK catering equipment companies would instead turn into importers and/or exporters who would be required to clear customs and pay import duties in order to do business with the EU. Catering equipment suppliers should determine who much working capital they will need to cover VAT costs and how those costs can be both managed and administered across the entire EU spectrum. Brookes stressed that customs duties work both ways and it is more than probable that the UK would impose duties on the remaining 27-nation EU that want to do business in the UK.